Need to build some subtraction fluency? 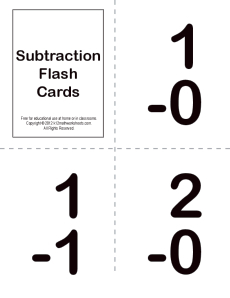 Here's a set of subtraction flash cards for your young student. All subtrahends are between 0 and 9. Just print the pages on card stock, cut them out and you will be ready to start.